I made this cake for my grandson’s fifth birthday. He wanted a Power Ranger cake. 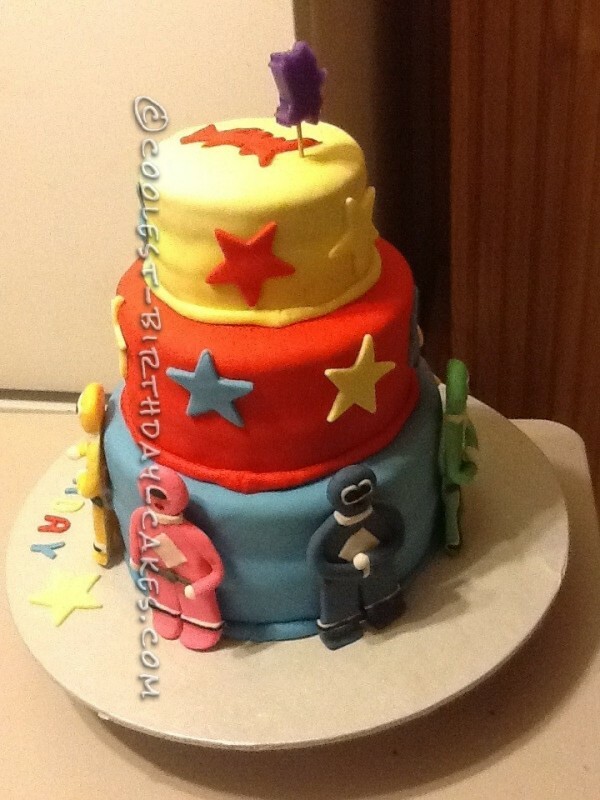 A few weeks before baking the cake I started to make the figures out of fondant in colors that he requested. The day I baked the cakes I made one 10 inch, one 8 inch and one 6 inch chocolate cake. I then made one 10 inch, one 8 inch and one 6 inch vanilla cake. Putting the cakes together using one chocolate and one vanilla using a raspberry filling covered in butter cream frosting. I then did the same for the 8 inch and the 6 inch cakes. I then put supports in the 10 and the 8 inch cakes. I made blue fondant and covered the 10 inch cake. Using red fondant for the 8 inch and yellow for the 6 inch. I used butter cream frosting to attach the figures to the cake. I made stars out of the left over colors of fondant. 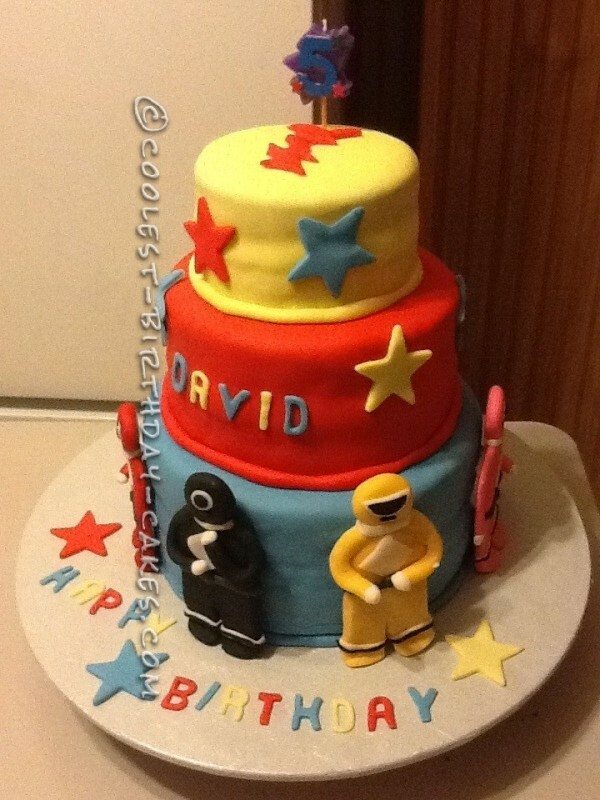 I used cookie cutters for the star shapes, cutting out the letters for DAVID’s name and placed it on the cake.